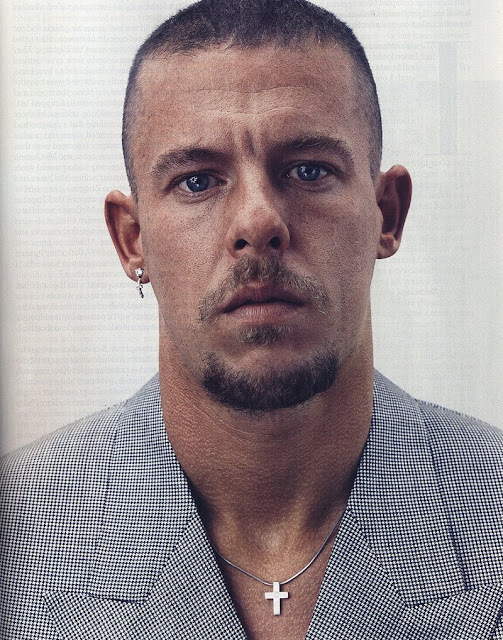 It seems that Hollywood have become some what obsession with Alexander McQueen as of late, because there's not one, not two, but three documentary films to be released on the late British designer. First came the news back in August that there was to be a film about McQueen and fashion editor, Isabella Blow. The Ripper is set to explore the relationship between the muse and the patron, one that definitely had it's ups and downs. Blow died in 2008 from an overdose, two years before McQueen committed suicide. Then the excitment levels went up a notch. In October, it was announced that Jack O'Connell - or Cook from Skins, to you and I - had been cast as the designer in a biopic about his infamous Autumn/Winter 2009 collection. The film itself will focus on the preparations and creative process of his penultimate collection before his death in February 2010. If that wasn't enough, it was announced earlier this week that another documentary about the designer's life is in the works. Titled McQueen, the film shall be released early next year and directed by Ian Bonhote - who has done films for Matthew Williamson and Hussein Chalayan, as well as campaigns for Nike, Puma and Pepsi. 'I moved to London from Paris in the nineties much in part because of McQueen. His sense of style because synonymous with the city's raw energy and edginess, and I know of no other contemporary designer to ignite such an immediate visceral response from an audience," said Bonhote. We don't think we can wait long for these films. Can they just be made already? !